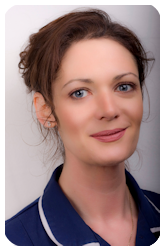 Consultant Osteomyologist with Distinction Emma Kirke is based within Huddersfield's Total Fitness where she is available to treat a wide variety of conditions and injuries...and in demand to help clients to overcome a wide variety of complaints. For individual constructive advice, please contact Emma directly either via email or telephone. Treatments available in clinics at Huddersfield, Wakefield and Hornsea, appointments from early morning to late evening.